Volkswagen owners in Britain affected by the Emissions Scandal are taking legal action in an attempt to get compensation. It is reported that up to 10,000 owners of Audi, SEAT, Skoda and Volkswagen cars are involved in the lawsuit. It is thought that more than one million cars from the Volkswagen group were sold with the EA189 diesel engine between 2009 and 2015. And each was fitted with sophisticated NOx (nitrogen oxide) emissions software, designed to artificially lower harmful gasses and cheat EU laboratory emissions tests. The legal action accuses Volkswagen of deceiving consumers and causing damage to both people’s health and the environment by cheating strict emissions rules. The case will be heard at the High Court on 30 January. In October 2016 Volkswagen admitted that as few as one in 10 of affected cars had been fixed. It also said it wouldn't be giving any compensation to UK owners, despite agreeing a $15 billion settlement in the USA for buying back affected cars and paying owners an additional $5000 - $10,000 (£4000 - £8000) each. According to The Daily Mail, the lawsuit is being driven by Harcus Sinclair for a consortium of law firms. It is reported that up to 10,000 owners are involved in the legal bid, with each seeking £3000 in compensation. "It is only right that UK car owners affected by the scandal have the opportunity to seek compensation." “We have paved the way for consumers who trusted but were let down by Volkswagen, Audi, SEAT and Skoda to seek redress through our courts. It is only right that UK car owners affected by the scandal have the opportunity to seek compensation," said Damon Parker, head of litigation at Harcus Sinclair. “We have secured funding so that those affected can bring this claim against Volkswagen at no cost to themselves. 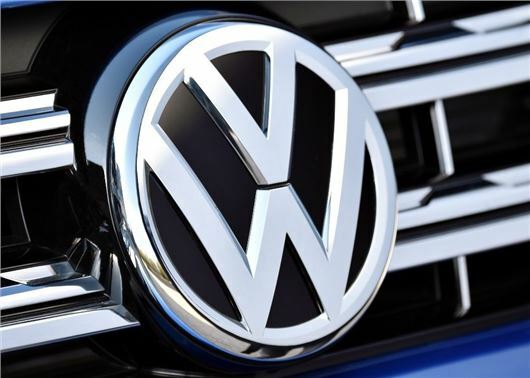 The group action aims to ensure that, if Volkswagen is found to have misled consumers about the environmental damage caused by their cars, they are penalised accordingly so as to discourage this sort of behaviour from happening again,” added Parker. The UK Transport Committee pledged in the autumn of 2016 to fight for compensation for owners of affected Volkswagen group cars, but little has happened since then. The European Commission has criticised Britain for not doing enough in the wake of the Emissions Scandal. It has also accused the UK government for refusing to share details of its investigation into the cheat device used by Volkswagen to artificially lower NOx gases when under test conditions. Why is there legal action at all? No damage has been suffered. The car continues to run normally, just as it did before news of the defeat device broke. No additional tax or restriction on the use of the vehicle is incurred. The ECU patch offered does not to be accepted. m5rcc My lungs have suffered as a result of cycling in the city amongst all these diesel fumes along with everybody elses thankyou very much. Caustic diesel fumes/soot/particulates would have been lowered and it's not all about how the car runs!! We bought a Skoda Greenline Estate which, as the name implies, was marketed as an environmentally friendly car and that is why we bought it. If we were deliberately misled then of course it is reasonable to claim compensation. Hi m5rcc The problem - firstly people have been lied to which is not acceptable but more importantly to me they have ruined my car (rattling/ noisey engine / poor performance etc.) Unfortunatley people are not aware until they have had the emmssions fix that they get ECG failures, rattle engines etc. VW are telling everyone that all these problems have nothing to do with the emissions fix and "You are the only person that has a problem". Reading in this forum it is obviouse to me there is a problem but no one of authority i.e. Auto express, daily papers, DVLA, AA, RAC, Honest John etc etc appears to be challenging them. I / We don't appear to have redress at all as it all appears to be supressed. Finally after 3 times sending my Tiguan back for noisey and rattley engine VW have told me they cannot undo the fix it is against the law. I reitterate with the lies from VW and the lack of media exposure there are a growing number of people seeking compenstation and you are asking Why is there legal action hope this clarifies for you regards Peter. Volkswagen as a group vehicle manufacturer of several marques clearly misled prospective owners of certain diesel powered vehicles by marketing certain models which apparently contained devices intended to provide an assumed ability to pass stipulated legally enforced tests relating to emissions into the atmosphere despite it would appear in normal road use such emissions levels were apparently exceeded. I had a Tiguan tdi from 2008 until 2012 and therefore had unwittingly purchased a vehicle which under certain conditions would not meet the desired standards of pollution and also by purchasing the vehicle unknowingly may have breached those standards. Hence i was as with many other owners of VW group vehicles apparently duped into believing I had purchased an environmentally friendly and acceptable vehicle.. Yes we were all misled over emissions by VW, but then just about every owner of a diesel car over the last decade or more has been misled over emissions. Every make of car cheats the emissions test and most are worse than VW, they turn off the Lean NOx trap after 20 minutes ( the length of the test ) so NOx control is non existant from then on. It takes a good deal of fuel to run the lean NOx trap. VW are under the microscope because what they did was clearly illegal in the US but probably is not in the EU . I cant find a make of car that is lilly white in all this not even a petrol one! This scandal has a long way to run yet. My Golf 1.6 Bluemotion was giving me 63 - 65mpg (accurately measured by filling car to top and driving until almost empty) with Consumption 1 regularly showing 70+mpg. Consumption 2 was 58.7mpg. A full tank could have taken me between 730 to 750 miles. Truly amazing. I got the "fix" and the mpg performance has dropped considerably. I have had 3 fills and the mpg average is now 48 (immediately after the fix i filled up), 56 and 54. I am now only getting best 640 on a full tank. Consumption 1 has not topped 60mpg and consumption 2 is now only 52.8. The car is now constantly re-gening with the fan being on more. I took the car back and they did a diagnostic test going through protocols. They restored factory settings and sent me merrily on my way. I was told the car is performing as it should. I was told the only noticeable difference being the fan would be on more. They computer forced a re-gen during the diagnostic and before i was home it was re-gening again. DO NOT GET THE FIX - IT IS COSTING ME MORE MONEY TO DRIVE THIS CAR COMPARED TO BEFORE THE FIX WAS DONE. VW COULD NOT CARE LESS. Great posts. I had the update at the start of May, I had reservations before having done as my 2012 Golf Tdi GT 2.0 has ran faultlessly since buying it 5 years ago. It had 80000 miles on, and until the last 3 services was serviced at VW main dealers. Last week, approx 4 weeks after update an engine management light came on and car went in to limp mode. 2 weeks of that the car was not used as I was on holiday. I spoke to VW UK who have a specialist hotline for the emissions situation. Firstly the first two people gave me completely contradicting information. Eventually I spoke to someone who arranged a courtesy car, and the AA to come to recover my car. The guy from the AA checked the car and informed me it's an EGR fault, and it's very common in this model. It is definitely not caused by the update. I was quite perplexed by this, as the car has NEVER exhibited any fault, until almost immediately after this update!!!!! Has anyone had a similar situation, and if so can you advise me on my next course of action? I have an Audi 3 2012 2L and have had the engine management light coming off and on for a while now , I have been told it's the Diesel Particular Filter , my brother in law who has the same Car as me has had exactily the same problems after having the emmissions update, my car has done 90,000 miles, his only 25,000 !! Now I have received a letter from Audi saying although the update should not have affected the car in any way they will take any complaint very seriously and are booking me in for a free diagnostics !! I've had to wait 7 wks for the diagnostic to be done as they are so busy . I'm not sure how far a complaint is going to get me as how can I prove that I think the update has caused this!! Mine keeps trying to re-gen and we have also paid for a forced re-gen in the hope it will sort it , but looks like we are gonna have to pay out for a Dpf ?????? I had my 2014 1.6 tdi Seat Toledo updated late in July, at from that day on it has lacked low end power. When pulling away it is gutless until the revs reach 1700 rpm and then it is as though the turbo suddenly comes to life. The engine is pinking in 4th and 5th gear, even when accellerating at 50mph. I have returned it to seat who had it for four days and the only difference was a much noisier engine and now higher fuel consuption. I can honestly say if it had driven like this on the test drive, i would have never bought it. I really dont know what to do next, i hate the car and cant sell it as it is on finance. As far as compensation is concerned, i dont want it i just want my car to be returned to the way it before it was messed with. We to have had a problem with the EGR valve after the emissions update. Garage want 800 plus to fix it . Very disappointed with Audi!